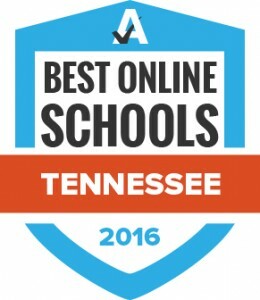 Bethel University was named the top accredited online school in Tennessee for the 2015-2016 school year. Accreditedschoolsonline.org recently analyzed data from hundreds of colleges across the nation with online degrees at the bachelor’s level. The goal was to discover which colleges offer the most notable balances of academic rigor, student support, and affordability for online learning – and Bethel University topped the list. To determine the rankings, data analysts and college experts developed a proprietary scoring system to rank these colleges based on various cost-to-quality criteria and metrics, or the ASO Peer-Based Value. This proprietary metric compares qualitative aspects of colleges with similar costs against the tuition of colleges with similar quality metrics. The general criteria and scoring metrics include the student-faculty ratio; not-for-profit status; the number of online bachelor’s degrees available; the online tuition rate; the loan default rate; the six-year graduation rate; and job placement and career counseling for graduates. Over 55,000 Tennessee college students are currently taking at least one online course, according to a recent study by the Babson Survey Research Group. Headquartered in McKenzie, Tenn., Bethel University offers a variety of degree programs, both on campus, in a traditional format, and online. It is one of the oldest private institutions in Tennessee, and among the fastest-growing universities in the South. To learn more about Bethel University’s College of Professional Studies programs, both on-campus and online, go to BethelSuccess.net, or call 877-4BETHEL. This entry was posted in News and Information on February 15, 2016 by bethelu.